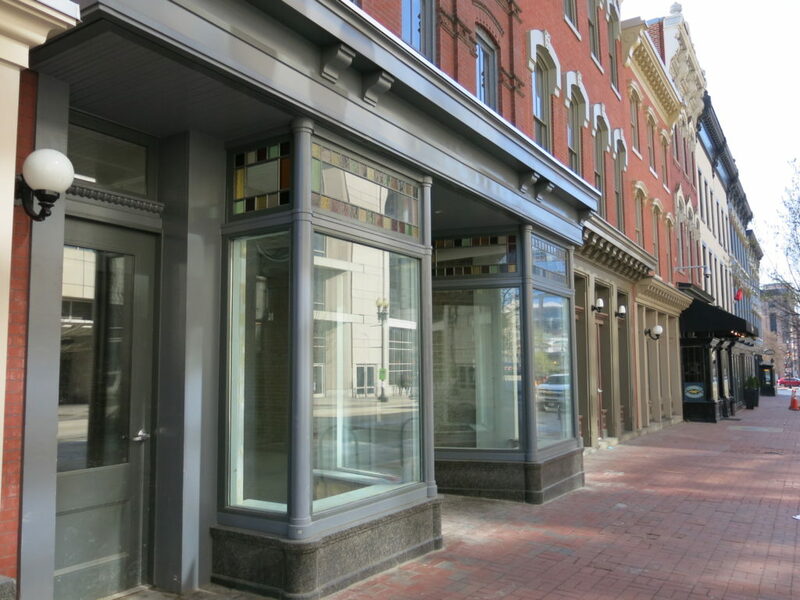 “Pearl’s Bagels is officially coming to the district! Husband-and-wife team Allee and Oliver Cox have signed a lease at 1017 7th Street NW for their new bagel concept “Pearl’s Bagels.” The opening date has not yet been determined, but Allee and Oliver will be working diligently to open their doors as soon as humanly possible. Pearl’s will serve traditional bagels done right. Our aim is to provide our neighbors with fresh, delicious hand-rolled bagels and high-quality coffee for a reasonable price in a bright and inviting space. At Pearl’s, we believe bagels should be made of simple and abundant ingredients; that’s why we only use flour, water, salt, yeast, honey and a tiny bit of malt (to get that classic bagel-y flavor). Our bagels are boiled in water sweetened with honey before they are baked in a brick oven. Pearl’s was born out of nostalgia (and the craving for a tasty breakfast sandwich) and will offer all the classics, plus a selection of our own unique breakfast and lunch sandwiches.